Y 2/c William Neal Humble, son of Mr. and Mrs. R. W. Humble, graduated from Tipton High School and Draughon Business College; husband of the former Myrle Andrews. 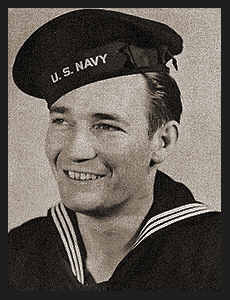 Entered Navy in May, 1942, trained in San Diego, Cal. ; served in Guam where he is now on dutry.